Buy Creatures of Leisure boardbags and accessories Online - Kitemana! Whether you are looking for surfboard bags, or prefer a bag for your twintip, Creatures or Leisure has a bag which fits your board. 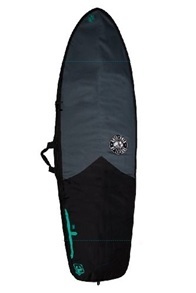 From daily bags to sturdy boardbags for shortboards, longboards, fish surfboards, SUP and bodyboard bags. Kitemana sells the entire boardbag collection from Creatures of Leisure. 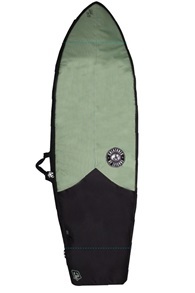 The boardbags are made of the best quality so your board is very well protected while riding to the beach. 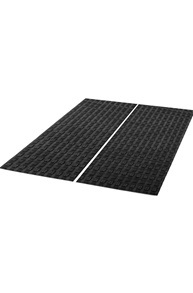 They have the best features for a durable construction and good protection at the same time. 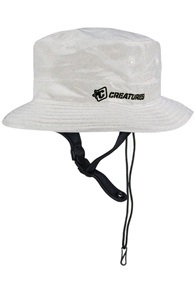 Creatures kiteboard bags include the following features. 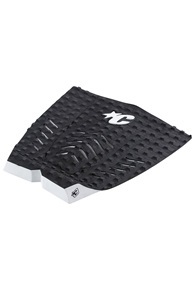 Creatures boardbags have a special diamond tech fabric. This means that the bags are lighter, stronger and more durable. The fabric is woven in a certain way and has a special UV resistant layer. Made to provide a waterproof protection and last for many years. 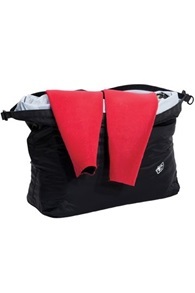 In addition to the Diamond Tech fabric, the Creatures of Leisure boardbags have a special ventilation system, this enables your gear to get dry when it goes in wet. This X-Flow system provides extra ventilation so that air can enter and exit the bag easily. As a result, air can escape from the bag and fresh air is supplied to maintain the air humidity. 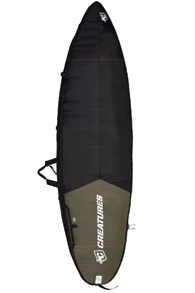 The Creatures boardbags have a very sturdy zipper which stays reliable and made to last. 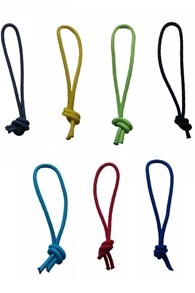 They are made of a corrosion-free material, so no worries about your zipper getting rusty. Just a solid zipper what does what it should, open and close! Besides the strong zipper, the Creatures boardbags have a handy grab handle and an ergonomic Stash Strap. 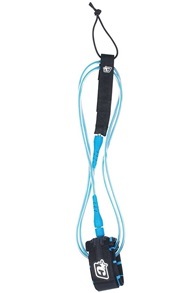 This allows you to easily lift the boardbags at all times or let it roll behind you. 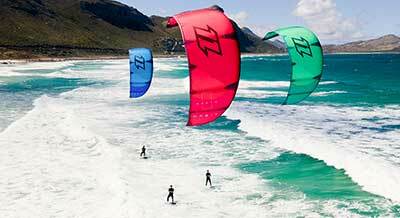 Ideal for a kite trip! In addition to boardbags, Creatures also makes awesome surf socks. These are small protective layers which you can pull over your surfboard just like a sock. This way you can protect your gear against little scratches and minor impacts. 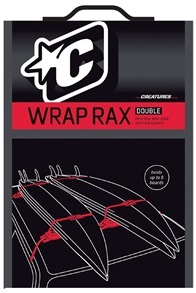 Perfect for home storage and to minimize the chance of getting surfwax on a car seat while going to and from the beach. Other features of the Creatures Stretch Sox are new exclusively woven jacquard material, quilted nose panel, drawstring with barrel lock closure and reusable mesh packaging. These surf socks are made of acrylic, polyester, and spandex-blend. Available in the designs Shortboard, Fish, and Longboard. The Creatures of Leisure fins come in many different shapes and sizes. 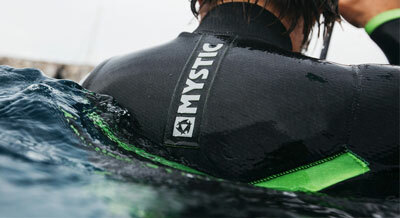 A complete range to meet the needs of all surfers and surfing conditions. 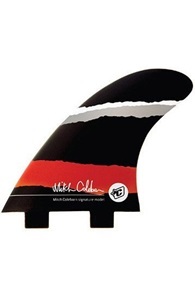 Premium quality, technical fins at a very competitive price. 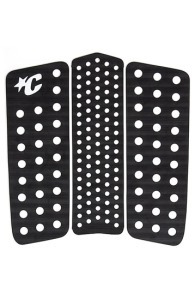 The new Creatures fins range consists of ICON sets in both Arc and Vert templates and a Tri-quad, Quad rear and 100% Fiberglass fins, all in Arc shape. Kitemana has most Creatures fins on stock and directly available. 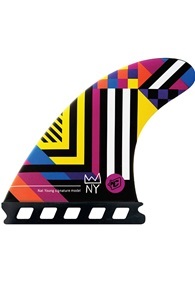 Do you have a question about the different types of fins or do you want advice about fins for under your kitesurfboard? Call or email us for a free advice. 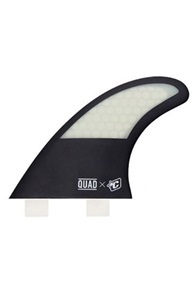 Surf brand Creatures makes awesome grip pads for your surfboard. Because of their long experience in wave surfing, the brand knows better than anyone else to produce good traction pads for your surfboard. Creatures of Leisure now comes with 4 different top-notch patterns. 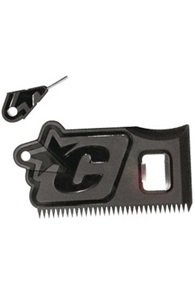 With the introduction of the square loc II and Diamond Loc II with a larger surface for more grip and more feeling. By working closely with the Team Riders of Creatures or Leisure, the brand knows exactly what you need in terms of grip. This leads to the best performance for surfers around the world in terms of performance and design. The EVA Traction Pads consist of a lighter Eva composition which enables hand-cut patterns and super clear printing techniques. The Creatures EVA formula consists of a unique cross-linking, uniform cell structure that offers high impact resistance, foam memory, UV stability, water absorption resistance and an extremely high breaking limit. The exclusive Creatures EVA formula allows the Creatures pads to be cut extremely thin without compromising strength and durability, while significantly reducing the weight. Lighter, stronger and very durable! 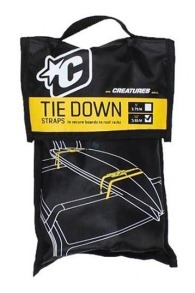 All Traction Pads from Creatures are made with 3M glue. 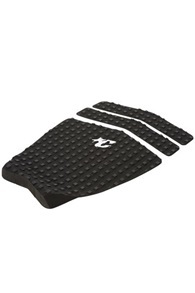 With fast adhesion and resistance to high temperatures, 3M adhesive is the world's most stable adhesive for surfboard traction pads. Are you looking for something from Creatures of Leisure which you can't find in our kite webshop? Please contact us and we will discuss the options and make sure you have it as quickly as possible!